The titans of the new Gilded Age must be busted and the idea has bipartisan support. It’s time big tech was brought to heel. 10 Mar 2019 – The presidential hopeful Elizabeth Warren announced on Friday she wants to bust up giants like Facebook, Google and Amazon. The answer is the same as it was before: bust up the monopolies. Nearly 90% of all internet searches now go through Google. Facebook and Google together account for 58% of all digital ads, which is where most ad money goes these days. They’re also the first stops for many Americans seeking news (93% receive news online), and Amazon is now the first stop for a third of all American consumers seeking to buy anything. With such size comes the power to stifle innovation. Amazon won’t let any business that sells through it sell any item at a lower price anywhere else. It’s even using its control over book sales to give books it publishes priority over rival publishers. Google uses the world’s most widely used search engine to promote its own services and content over those of competitors. Facebook’s purchases of WhatsApp and Instagram killed off two potential competitors. Contrary to the conventional view of America as a hotbed of entrepreneurship, according to the Census Bureau, the rate at which new job-creating businesses have formed in the US has halved since 2004. Size also confers political power. Amazon – the richest corporation in America – paid nothing in federal taxes last year. Meanwhile, it is holding an auction to extort billions from states and cities eager to host its second headquarters. It also forced Seattle, its home city, to back down on a plan to tax big corporations like itself to pay for homeless shelters for a growing population that cannot afford sky-high rents caused in part by Amazon. Facebook withheld evidence of Russian activity on its platform far longer than had been disclosed. When the news came to light, it employed an opposition research firm to discredit critics. 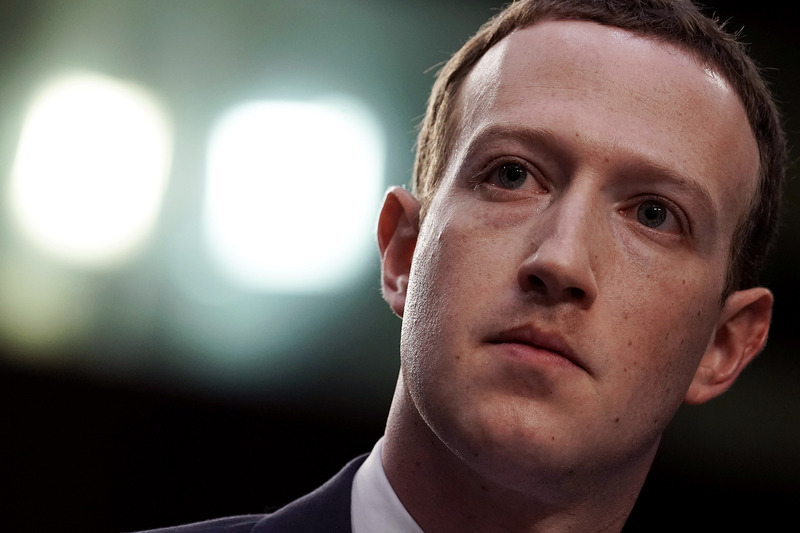 Zuckerberg, who holds the world speed record for falling from one of the most admired figures to one of the most reviled, just unveiled a plan to “encrypt” personal information from all his platforms. The plan is likely to give Facebook even more comprehensive data about everyone. If you believe it will better guard privacy, you don’t remember Zuckerberg’s last seven promises to do that. The New America Foundation, an influential thinktank Google helped fund, fired researchers who were urging antitrust officials to take on the company. And Google has been quietly financing hundreds of professors to write research papers justifying Google’s market dominance. What to do? Some argue the tech mammoths should be regulated like utilities or common carriers, but this would put government in the impossible position of policing content and overseeing products and services. A better alternative is to break them up. That way, information would be distributed through a large number of independent channels without a centralized platform giving all content apparent legitimacy and extraordinary reach. And more startups could flourish. Like the robber barons of the first Gilded Age, those of the second have amassed fortunes that gave them unparalleled influence over politicians and the economy. The combined wealth of Zuckerberg ($62.3bn), Bezos ($131bn), Brin ($49.8bn) and Page ($50.8bn) is larger than the combined wealth of the bottom half of the American population. A wealth tax, also proposed by Warren, would help. Some of the robber barons of the first Gilded Age were generous philanthropists, as are those of today. That didn’t excuse the damage they did to America. Monopolies aren’t good for anyone except for the monopolists. In this new Gilded Age, we need to respond as forcefully as we did the first time around. Warren’s ideas are a good start. Robert B. Reich, Chancellor’s Professor of Public Policy at the University of California at Berkeley, was Secretary of Labor in the Clinton administration. Time Magazine named him one of the ten most effective cabinet secretaries of the last century. He has written thirteen books, including the best sellers “Aftershock” and “The Work of Nations.” His latest, “Beyond Outrage,” is now out in paperback. He is also a founding editor of the American Prospect magazine and chairman of Common Cause.